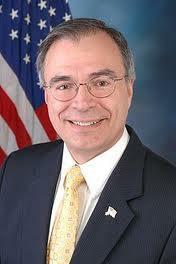 The National Rifle Association has been a big supporter of Congressman Andy Harris with a total of over $25-thousand since his 2008 campaign. His Democratic colleagues have not taken any money from gun rights or gun safety groups so far this year. The Salisbury Daily Times reports that so far he has received nearly $2-thousand so far this year according to the Center for Responsive Politics. The paper reports that Harris’s office did not respond for comment. Meanwhile, Senator Chris Van Hollen (D-MD) has gotten the money from gun safety advocates totaling just over $105-thousand nearly -- all of that coming during his 2016 campaign when he left the House.